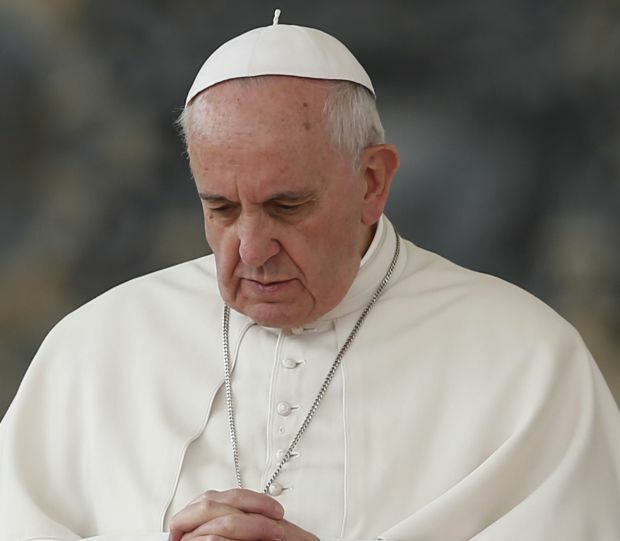 VATICAN CITY (CNS) — As Catholics are encouraged to make going to confession a significant part of their lives during Lent, Pope Francis offered some quick tips to help people prepare for the sacrament of penance. The guide is part of a 28-page booklet in Italian released by the Vatican publishing house. Pope Francis had 50,000 free copies distributed to people attending his Angelus address Feb. 22, the first Sunday of Lent. Titled “Safeguard your heart,” the booklet is meant to help the faithful become “courageous” and prepared to battle against evil and choose the good. The Oct. 10, 2014, homily, which is excerpted in the booklet, said the best way to guard one’s heart is with the daily practice of an “examination of conscience,” in which one quietly reviews what bad things one has done and what good things one has failed to do for God, one’s neighbor and oneself. — Do I only turn to God when I’m in need? — Do I take attend Mass on Sundays and holy days of obligation? — Do I begin and end the day with prayer? — Am I embarrassed to show that I am a Christian? — Do I rebel against God’s plan? — Am I envious, hot-tempered, biased? — In my marital and family relations, do I uphold morality as taught in the Gospels? — Do I honor and respect my parents? — Have I refused newly conceived life? Have I snuffed out the gift of life? Have I helped do so? — Do I respect the environment? — Am I part worldly and part believer? — Do I overdo it with eating, drinking, smoking and amusements? — Am I overly concerned about my physical well-being, my possessions? — How do I use my time? Am I lazy? — Do I want to be served? — Do I dream of revenge, hold grudges? — Am I meek, humble and a builder of peace?